When you want a car that reeks of luxury but doesn’t sacrifice raw power, the 2017 Mercedes-Benz C-Class Coupes hould rank high on your list of cars to check out. This elegant vehicle features a low beltline, a powerful front end, and an aerodynamic profile that will satisfy drivers’ aesthetics without compromising available features. From the moment you slip behind the wheel of the C-Class Coupe, you’ll feel as though you’ve entered an experience instead of a car. The center console slopes down from the dashboard, creating an ergonomic control center topped by a touchscreen infotainment panel. Consider upgrading to the Burmester stereo system, which serves as an option on all the C-class entries and creates an unparalleled acoustical experience. The rich leather seats, generous console storage, and metallic accents make the C-Class Coupe a standout offering in its class. If you crave style and aesthetic impact, spring for the two-toned seats and accents. Since the last iterations of the C-Class coupe, this vehicle has gained more than 3 inches between the wheels, which means a wider stance that mimics a high-end sports car. Mercedes-Benz has created the perfect dual-purpose vehicle: it simultaneously resembles a sports car and a luxury sedan, so it’ll appeal to a wider range of consumers. The windshield slopes steeply upward, but the rest of the C-Class Coupe’s greenhouse rounds down toward the back end, which makes it look deceptively short. LED headlights and tail lights add form and function. You can choose from the C 300, C 400, and AMG® trim levels. The C 300 boasts a four-cylinder engine that gets “241 horsepower and 273 pound-feet of torque.” Upgrading to the C 400 will get you a V6 engine with 329 horsepower, which might be worth it if you like plenty of power at your disposal. Car and Driver estimates the zero-to-sixty time at “just over six seconds.” While it doesn’t deliver the raw power of the SL-class models and similar vehicles, this vehicle will likely please consumers who want a well-oiled machine that retains the comfort and luxury of a high-end vehicle. If you’re looking for the ultimate in comfortable driving, choose the optional Airmatic suspension. The pressurized air springs help distribute weight more evenly, and the car’s electronics will automatically adjust the dampeners based on current conditions. However, the standard AGILITY CONTROL® suspension might suffice if you don’t want to add to the vehicle’s price tag. You can save money on fuel costs and reduce your carbon footprint with the 2017 C-Class Coupe. If you put it in Eco or Comfort mode, you can engage the “sailing” function, which means that the engine will disengage from the driveline if you take your foot off the accelerator and glide. This reduces friction and cuts your fuel consumption substantially. Then, if you want more power and precision, switch to a sport mode instead. You can also tilt up the optional panoramic roof to increase ventilation inside the car on seasonable days. Just turn off the air conditioning or heat so you use less fuel without sacrificing comfort. There’s an available eco-friendly stop-start system that will turn off the vehicle at stop lights so you save gas. As soon as you lift your foot off the brake pedal, the engine starts again and you’re off. Of course, if you want slightly faster responses, you can turn off the start-stop system. The automatic transmission might do for some drivers, but if you enjoy taking control over every aspect of your ride, you’ll appreciate the paddle shifters. You can use your preferred settings to create your own drive mode (in addition to the existing pre-set modes: Sport, Sport+, Eco, and Comfort). You’ll also have more control if you select the optional 8.4-inch infotainment panel (compared to the standard 7-inch variety). You can also upgrade to the Head-Up display, which creates a virtual display on the inside of your windshield. Instead of glancing away from the road to check your speed or to learn where you’ll make your next turn, you’ll keep your gaze straight ahead, which minimizes the potential for collisions. When you want a comfortable and powerful daily driver, the 2017 Mercedes-Benz C-Class Coupe delivers in a big way. It’s a stylish coupe that makes many improvements on the 2016 model. 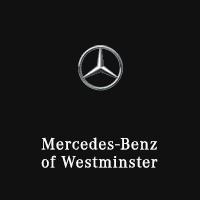 Visit your local Westminster dealership to embark on your test drive today.